Can't pronounce it but its yummy, originally uploaded by shashiBellamkonda. We landed in Cusco this morning and went to a wonderful hotel called the Casa San Blas. half a mile from the hotel is the town square. Cusco is 11k ft above sea level making it a first for me at such a high altitude. 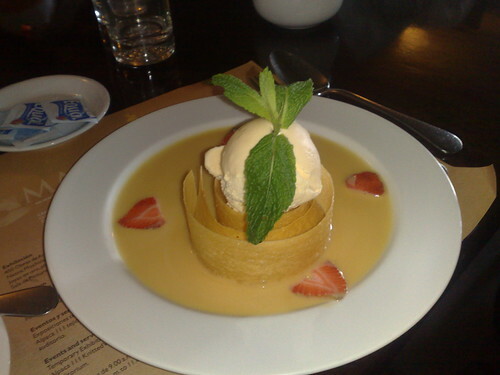 Lunch was at Inka Grill very nice restaurant in the Square where we had great Peruvian dishes including this dessert. This restaurant was world class for both food and service.